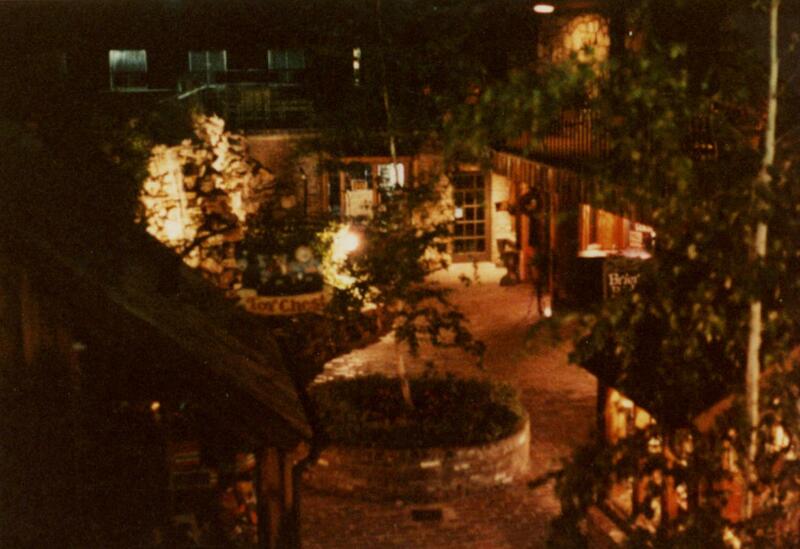 This photo looking towards Trader's Mall from Midtown Lodge dates back to the 1970's. 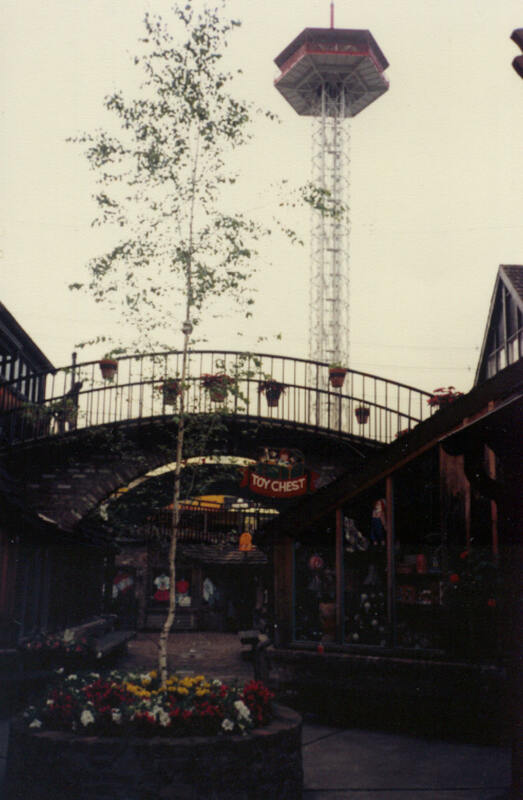 Notice the old sign: The Downtown Trader's"
A newer sign in the mid 80's hung underneath the bridge as shown in the photo on the left. 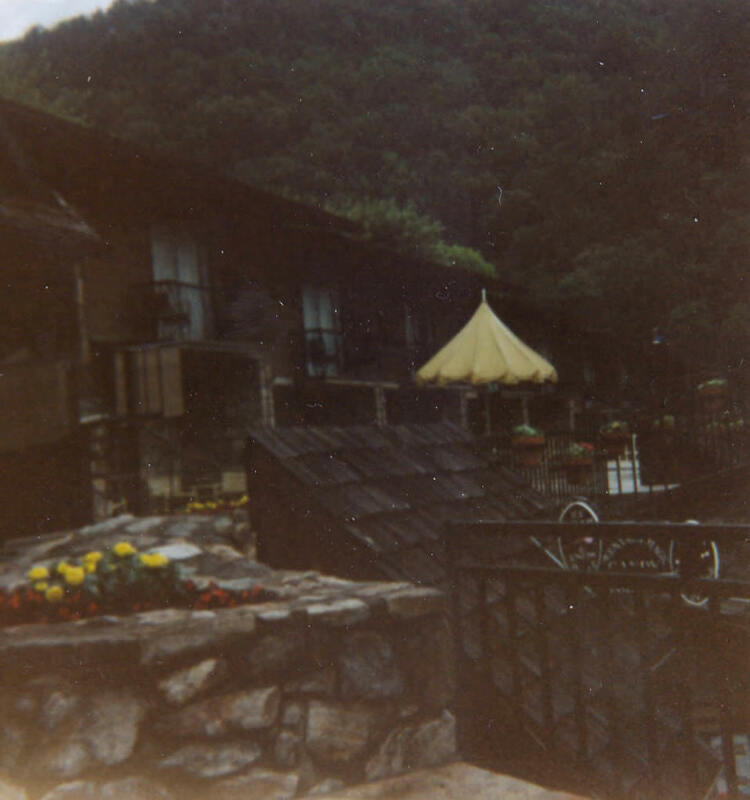 In the 90's the sign was relocated to above the steps as shown in the photo on the right. 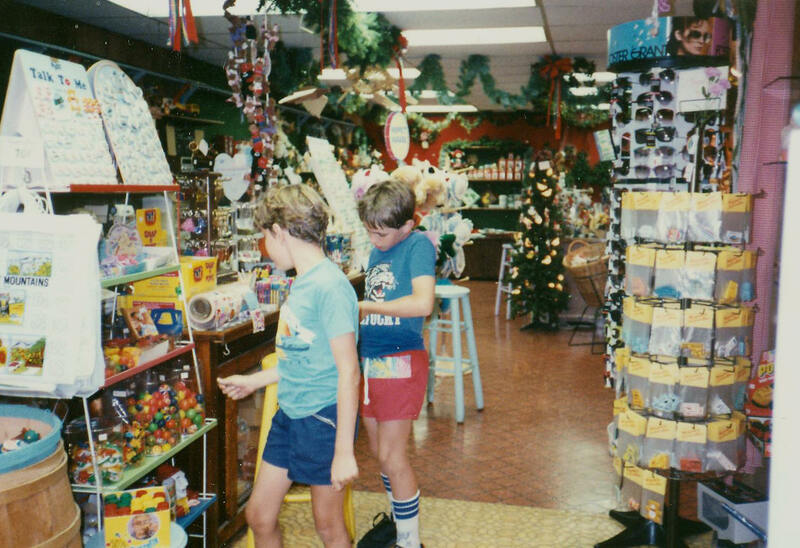 These two pictures show the ice cream shop that was in Trader's Mall for many years. The photo on the left was taken in the late 80's while the photo on the right was taken in 1999. 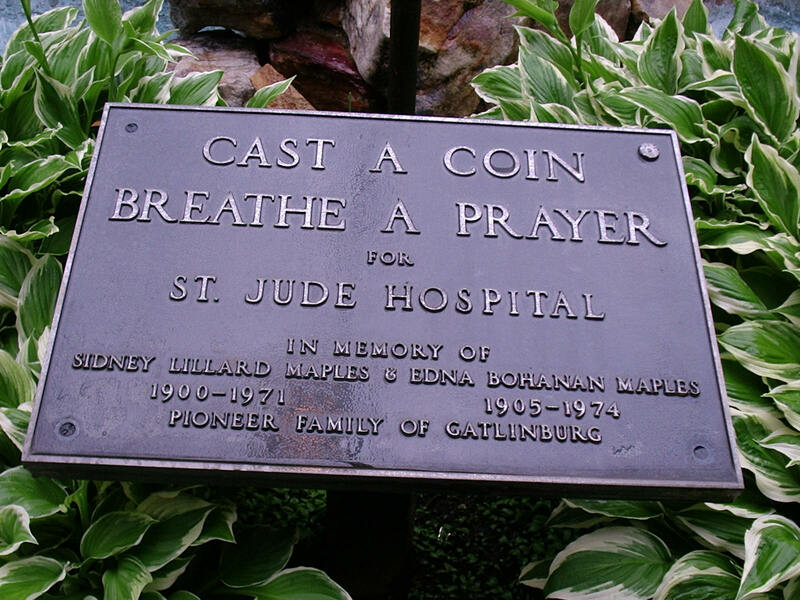 Looking at the two signs it appears the name had slightly changed by 1999. 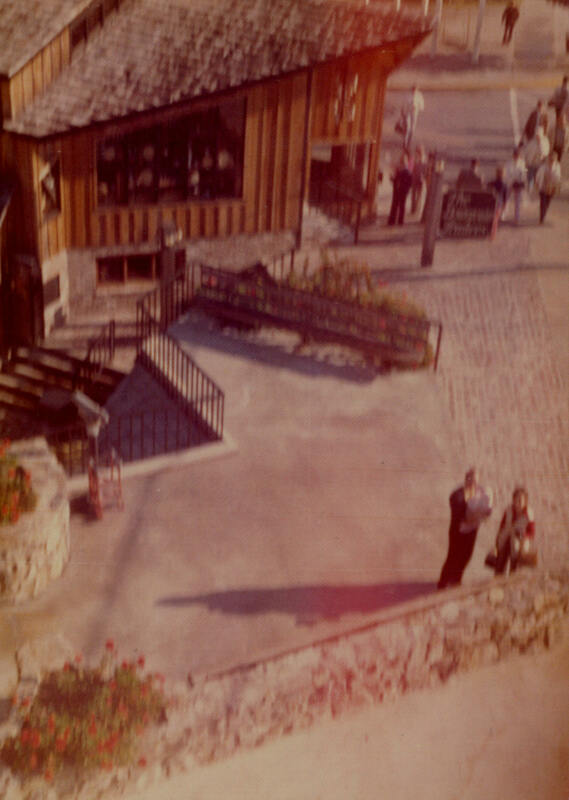 The photo on the left shows Mountain Leather a shop that lasted from the early days of Trader's Mall untill almost the end. 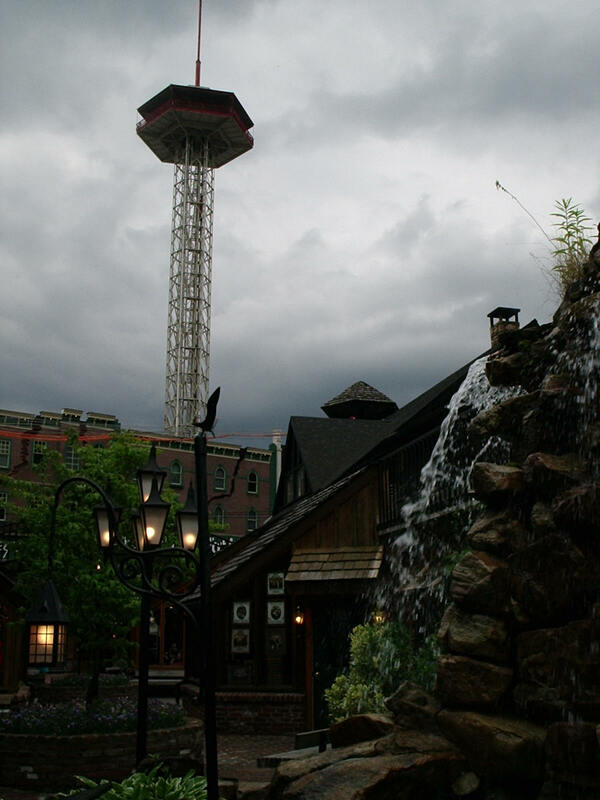 Also you can see the Ice Cream shop in the photo and an old shop called Cornucopia. The photo on the right shows a more recent photo of Mountain Leather. 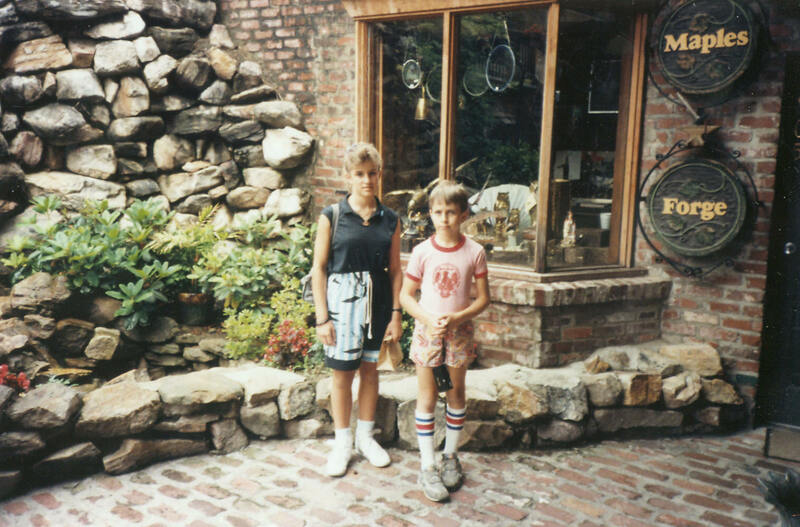 On The left is a photo of Mountain Leather in its final days. 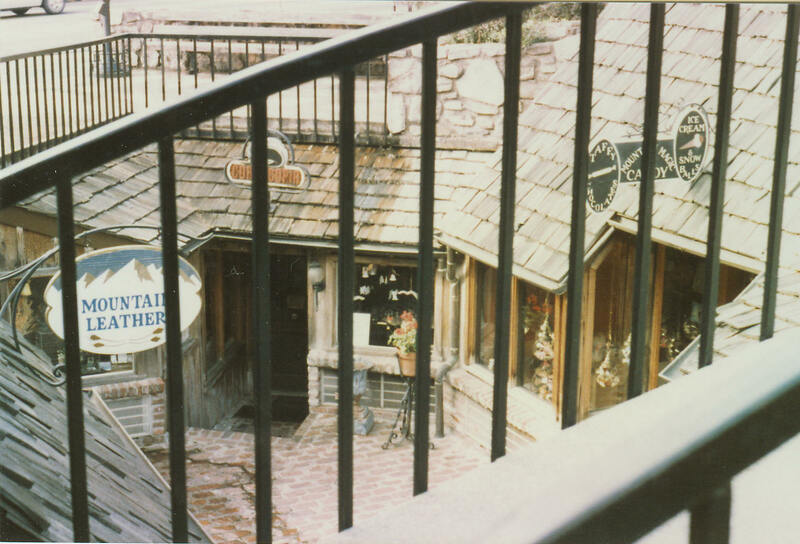 On the right is some video footage of Mountain Leather after it closed an they were clearing out the store. 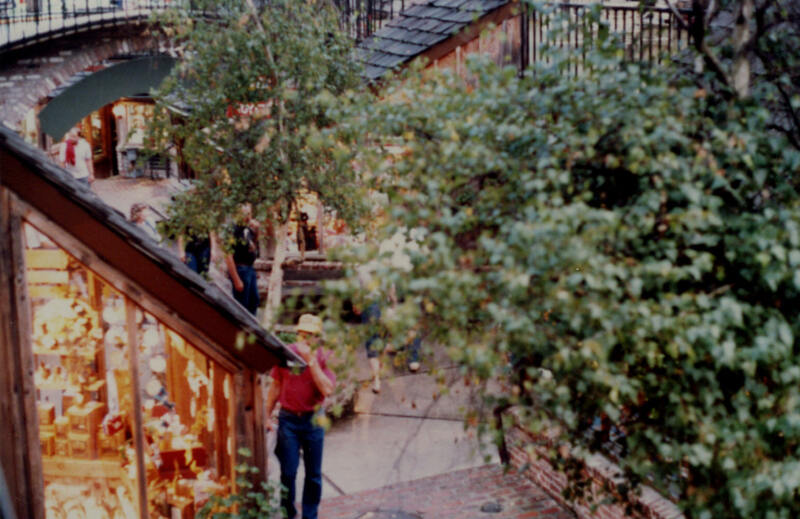 Two photos from the 1980's showing the Buckboard's display window. The video on the left shows the area around The Buckboard. The Video on the right shows the inside of The Buckboard. Two more photos of the Toy Chest that date back to the 1980's. The photo on the left shows the inside of the Toy Chest in the mid to late 1980's. 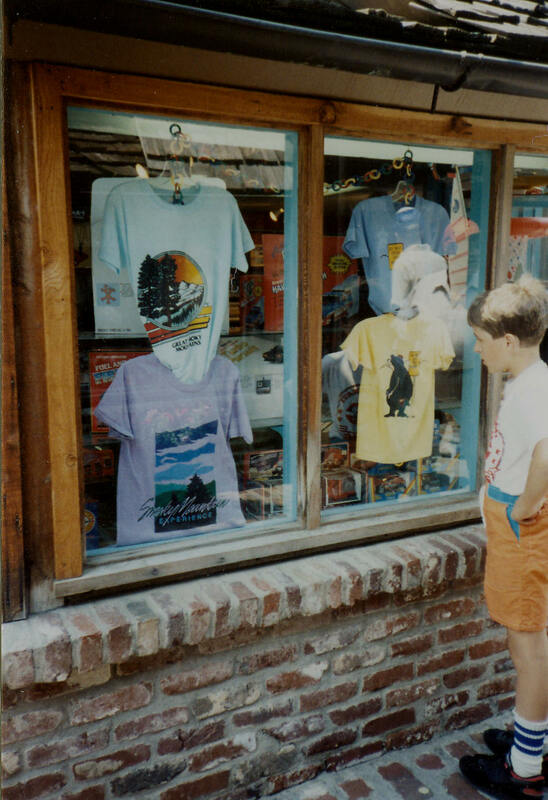 The photo on the right shows that the Toy Chest became Buckboard's Toy Room by the mid 1990's. 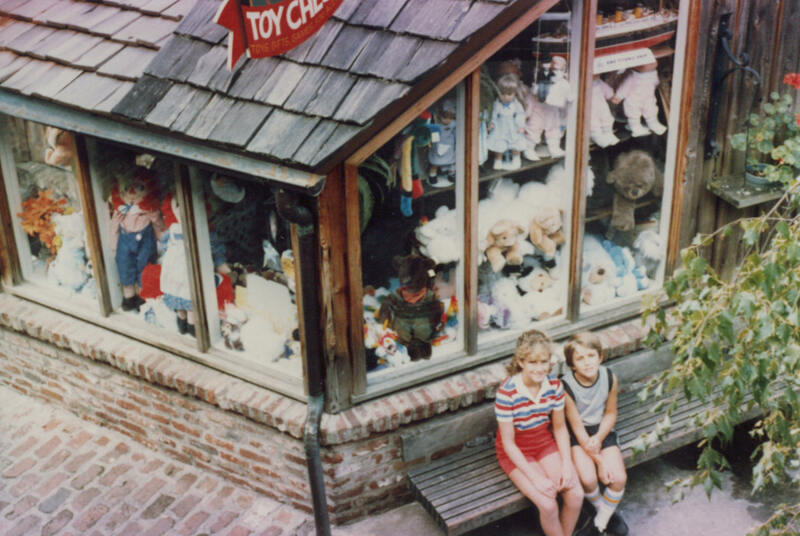 While the Toy Chest took up two shops, Buckboard's Toy Room only took up one shop, the other side eventually becoming the Somewhere In Time Old Time Photo Shop. 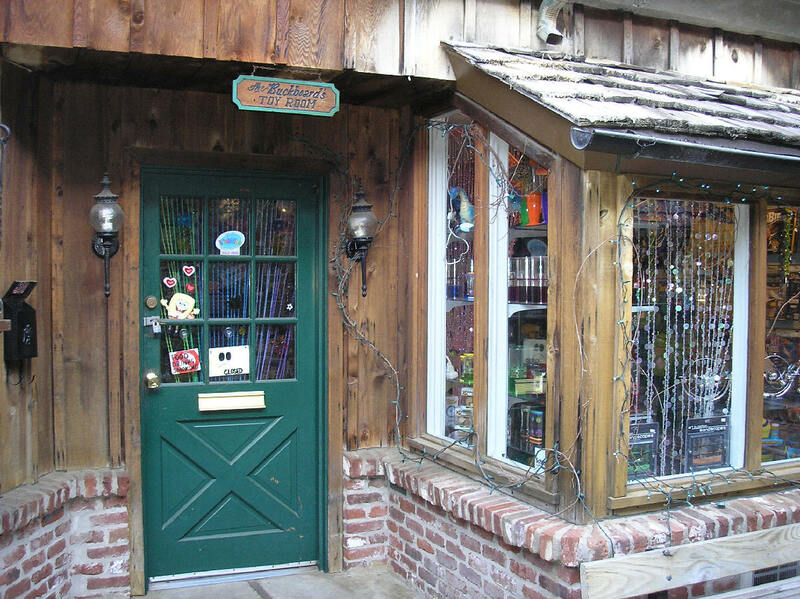 The photo on the left shows the display windows for both Buckboard's Toy Room and The Buckboard. 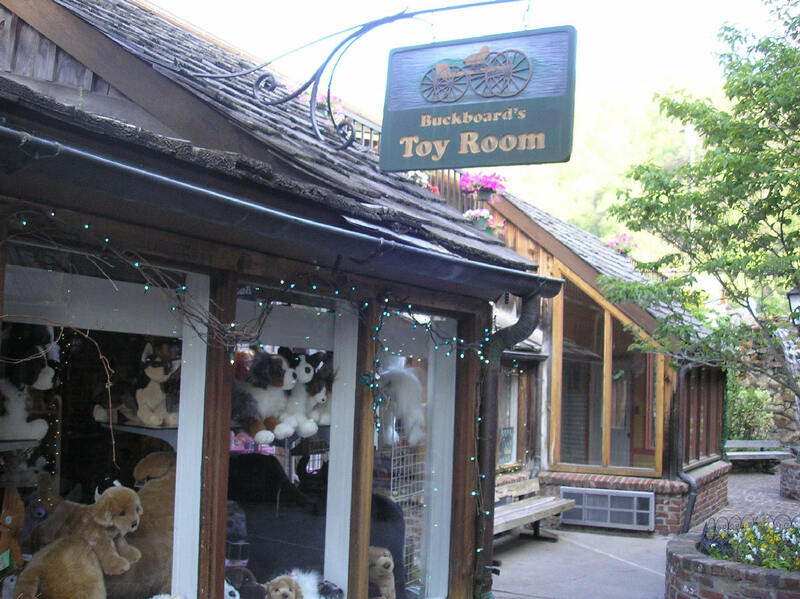 The video on the right shows the inside of Buckboard's Toy Room. By the Mid 1990's an Somewhere In Time Old Time Photo Shop had moved into the right side of the Toy Chest. 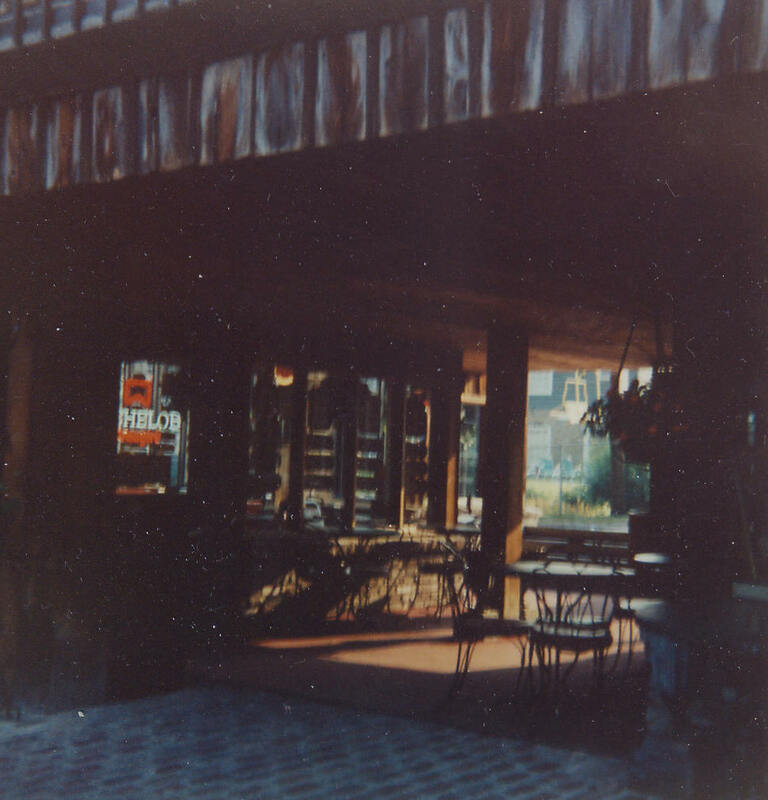 These two photos show Trader's Deli. 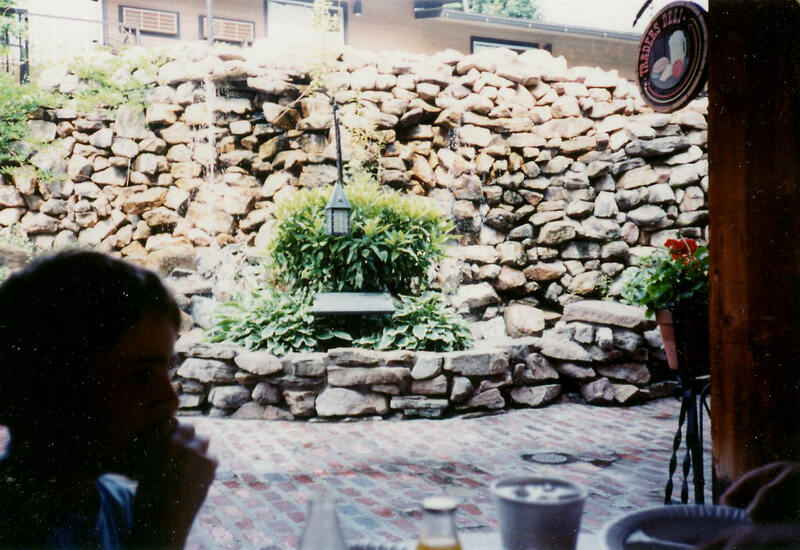 Trader's Deli had a little courtyard where you could watch the sky lift while you eat (which you can see in the photo on the right). 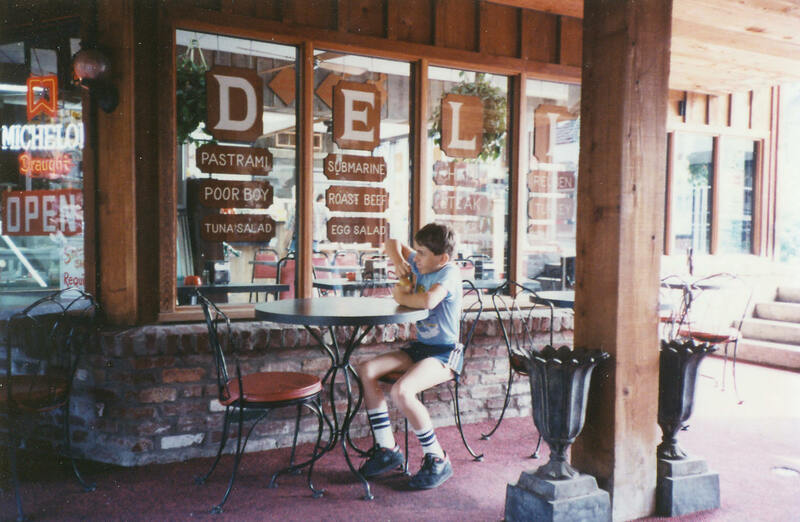 Traders Deli closed in the early 1990's. 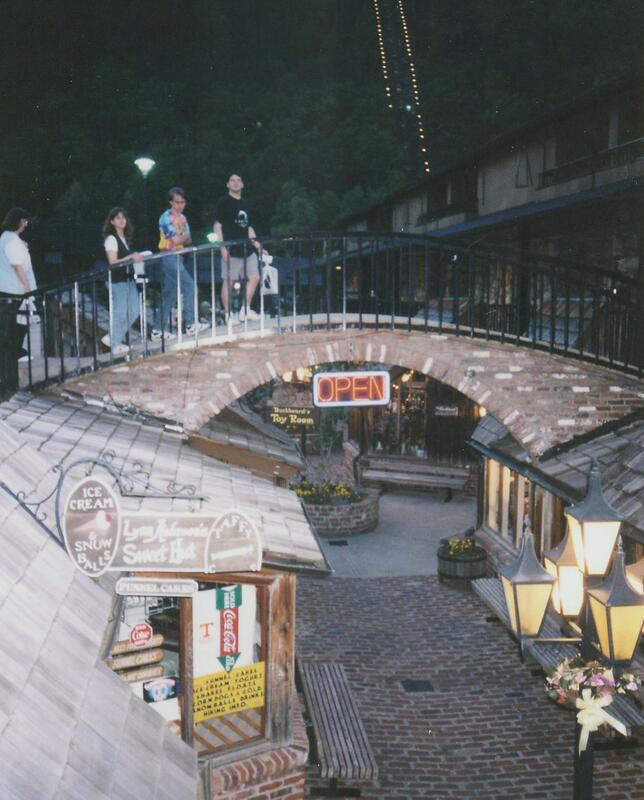 Another picture of Trader's Deli on the left, notice the sign in the upper right hand corner. 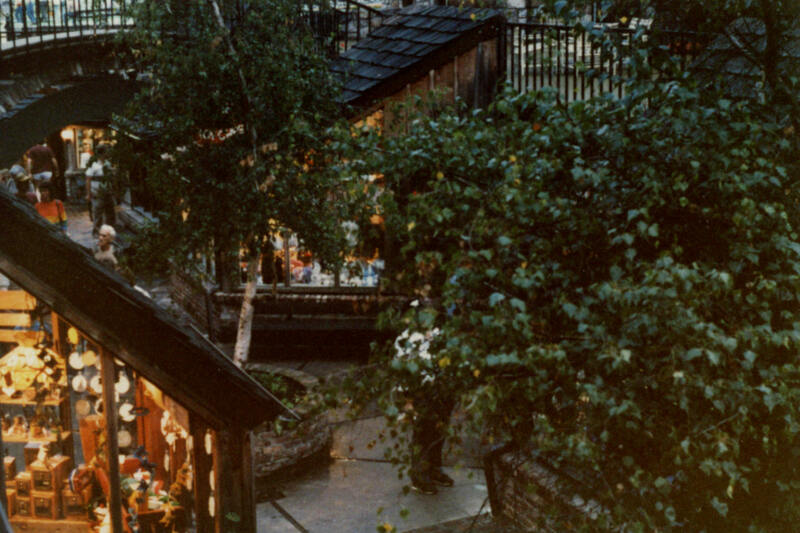 On the right shows the courtyard after Trader's Deli was gone, now just a pathway to the back entrance by the sky lift. 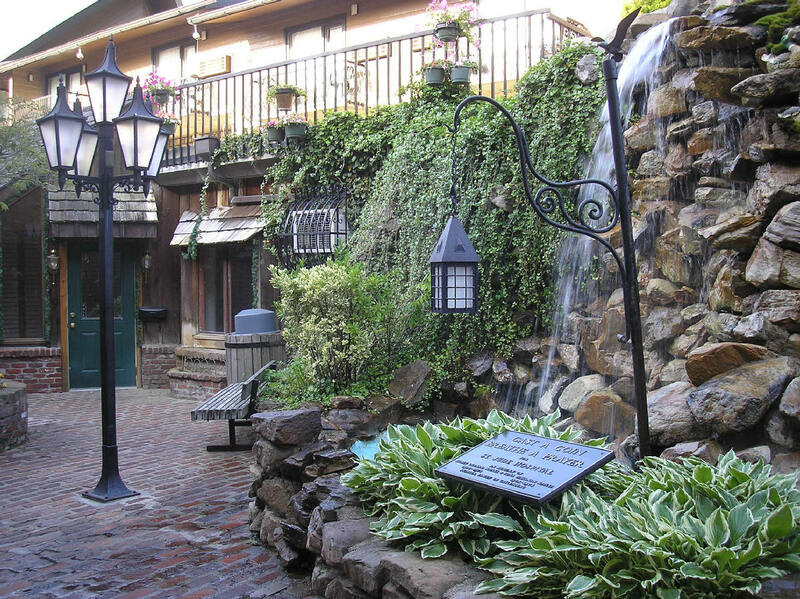 On the left is another photo of The Traders Mall Fountain and on the right is a photo of the Traders Mall Fountain at night. 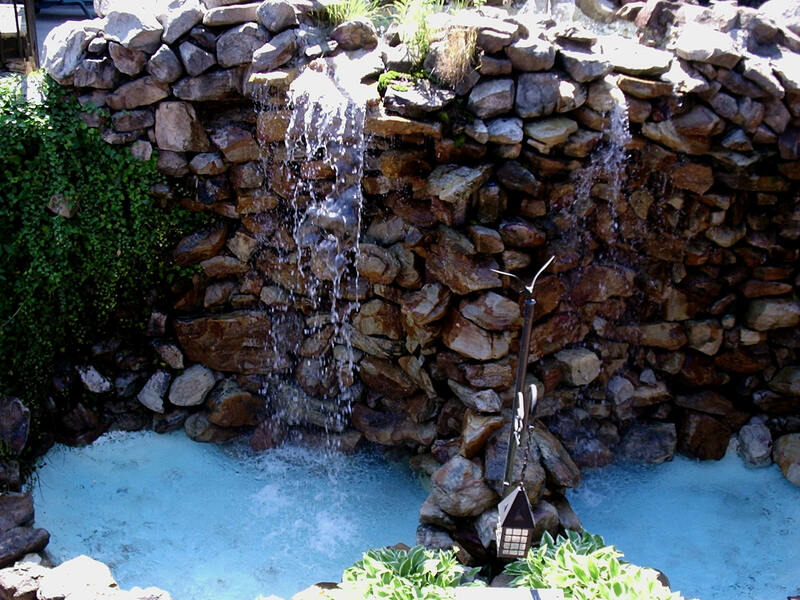 The video on the left shows footage of the Trader's Mall Fountain. 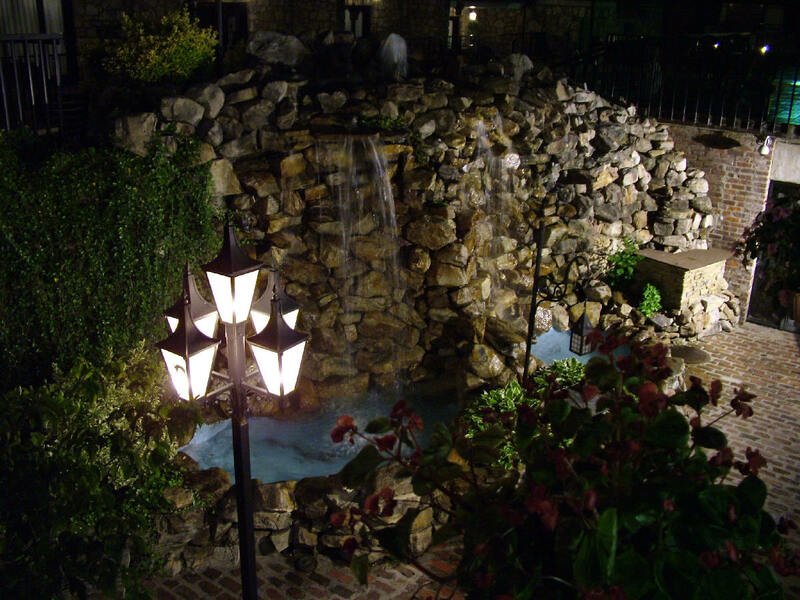 The video on the right shows footage of the Trader's Mall Fountain at night. 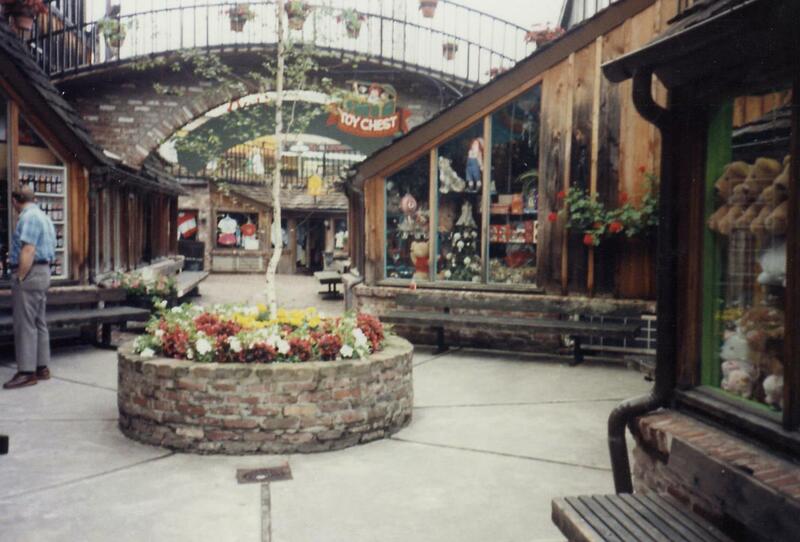 The photo on the left shows the shop at the back of Trader's Mall in the 1980s called Maples Forge. 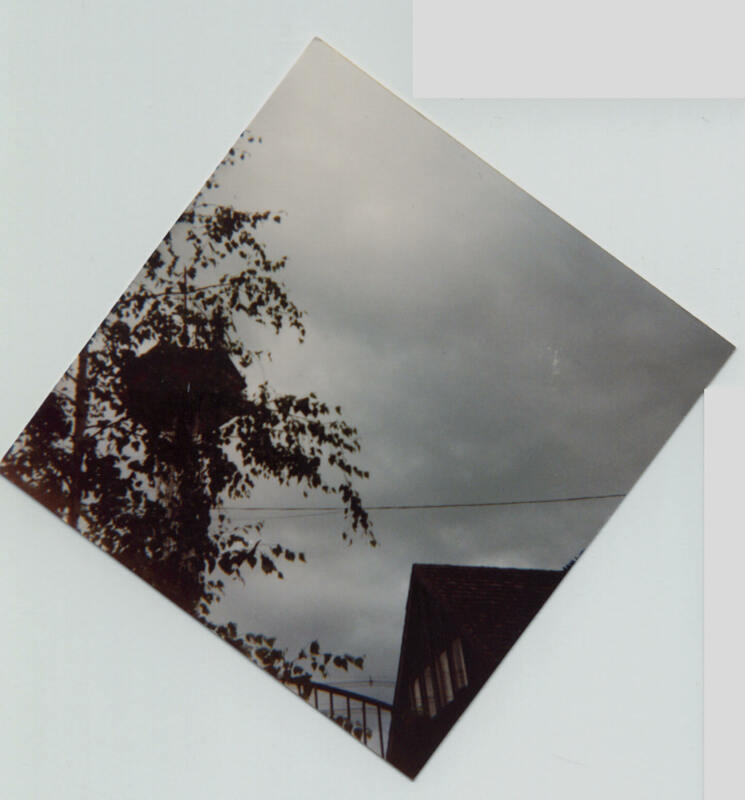 The photo on the right appears to have been taken when Maples Forge was still there but it is difficult to tell. 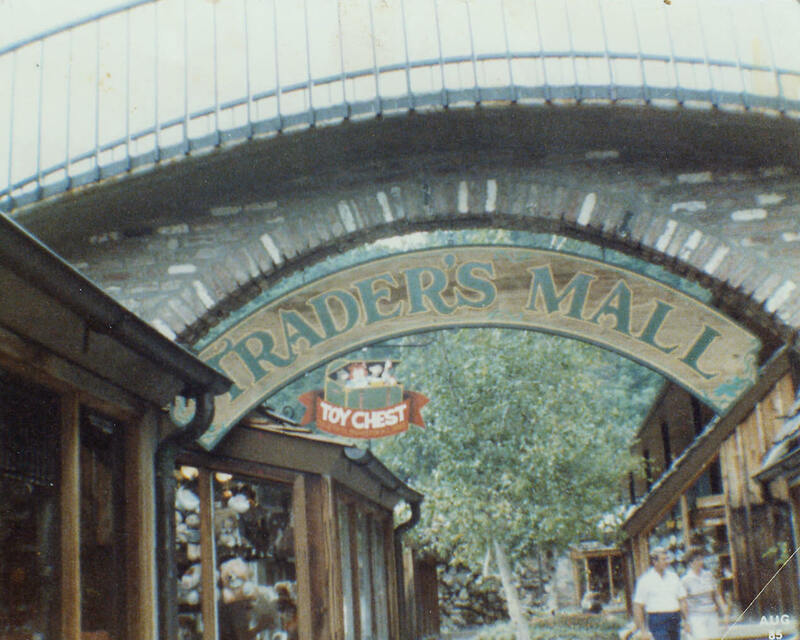 You can see the Traders Deli Sign on the right and the Toy Chest sign on the right. 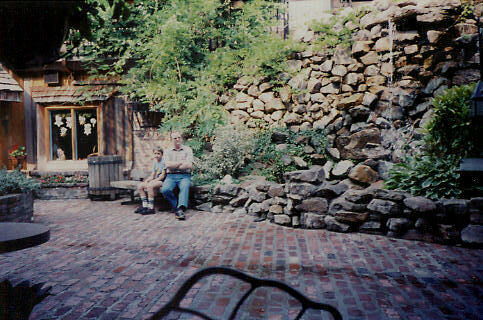 By the 1990's Maples Forge was gone and Cactus Jack's had moved in that spot as well as the spot previously occupied by Traders Deli as the photo on the left shows. 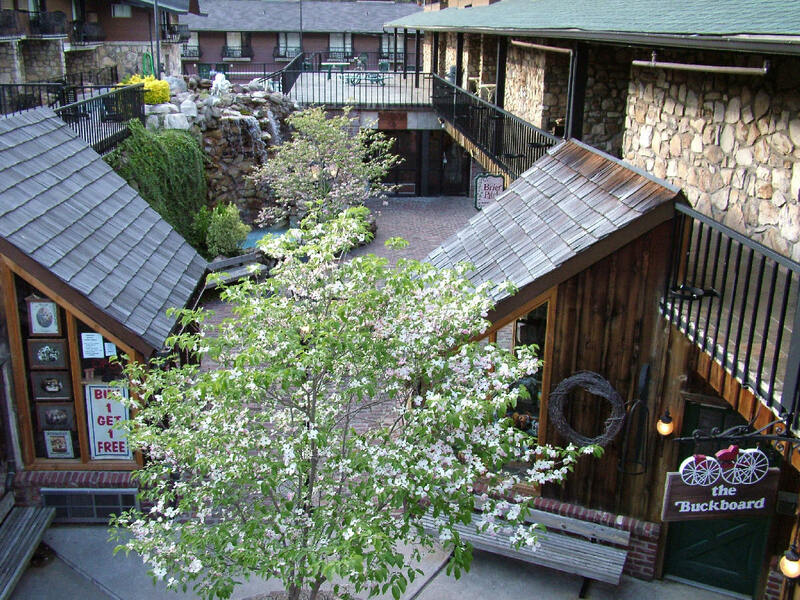 After about a year of being vacant circa 2004, Parkway Indian Crafts replaced Cactus Jack's as the photo on the right shows. 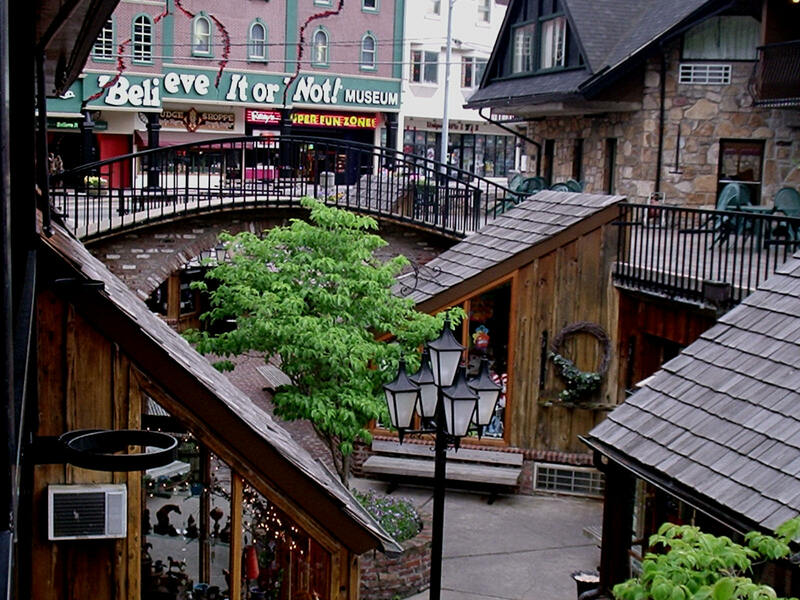 The photo on the left shows the side street exit to Traders Mall along with the directory sign circa 2008. 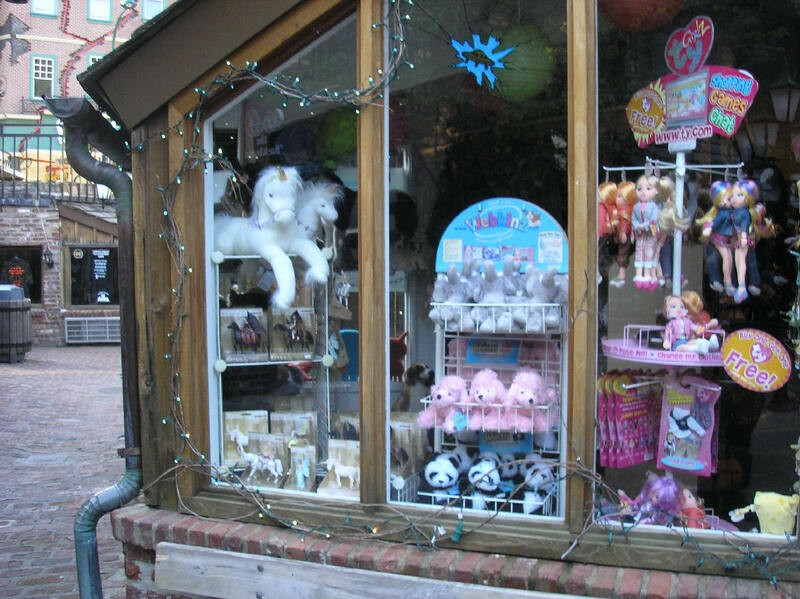 The photo on the right shows the backside display window of Parkway Indian Crafts. 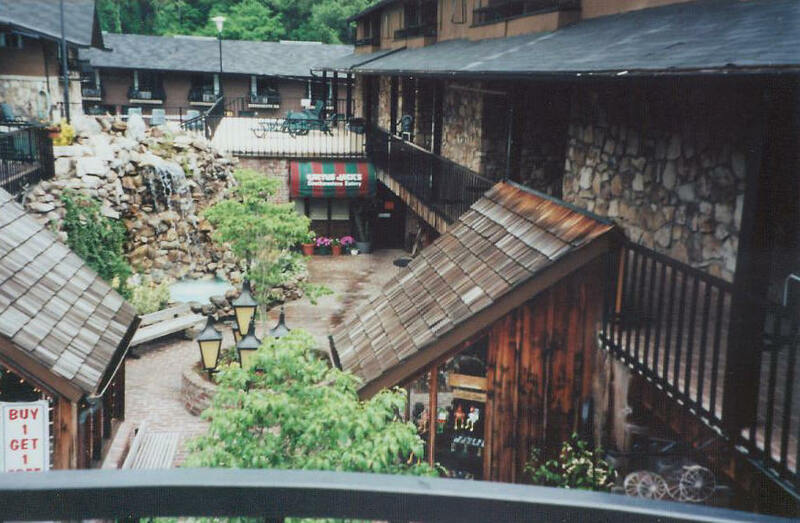 On the left is a photo of the backside of Trader's Mall from the side street just before the back entrance. 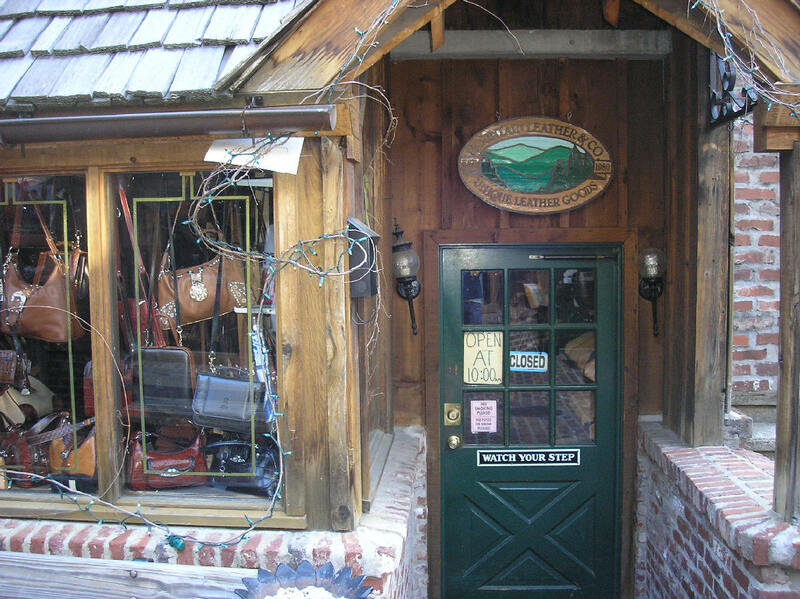 This photo shows The Buckboard shop's back display window. On the right is a video of Traders Mall in November of 2011 two months before it closed. Most of the shops are vacant.